The road ahead is rocky for those hoping to build quantum computers, according to a new report from the National Academy of Sciences. But as these computers become possible, the government should prioritize preparing for the potential consequences, which could be dire for cybersecurity. “The committee saw no fundamental reason why a large, fault-tolerant quantum computer could not be built in principle,” the authors, comprising a long list of American physicists and computer scientists, wrote. Quantum computers are computer processors that translate problems into sets of qubits, instead of classical bits. Classical bits are merely switches that can be in one of two states: zero or one. Qubits’ zeroes and ones are instead quantum states, meaning that during a calculation, they can exist partway between zero and one until they’re observed (think Schrödinger’s cat, alive and dead at the same time until the box is opened). Their power comes from that added complexity, as well as their ability to entangle and interfere through the mathematics of quantum mechanics. Such a machine could push the limits of our understanding of physics. But it has other potential applications in creating more advanced artificial intelligence or modeling new molecules for drug therapies. Qubits aren’t only useful in processors—they can make powerful sensors as well. These days, it has become a national security issue; a quantum computer that can run Shor’s algorithm could crack the public-key cryptography used to store much of our data. The report, written by many of the most well-known scientists in the field, focuses on the challenges and potential benefits of a quantum computer, and sets expectations. After all, quantum computers are innately error-prone, meaning you don’t necessarily get the final answer you’d expect from the algorithm due to intrinsic noise. Error-correction algorithms could solve these problems, but would increase the computation time and shouldn’t be expected in the near term. It’s difficult to load large classical datasets into a quantum state without quantum RAM. Designing the algorithms is hard, and so is debugging a computer whose intermediate states you can’t see. A Shor’s algorithm-cracking quantum computer is “more than a decade off,” perhaps several decades, they note. Rather than estimate when, the report writers proposed a metric estimating quantum computers’ power based on number of qubits and how likely they are to error out. And they didn’t think it likely that quantum computers will fully replace classical computers—instead, they’re meant to augment classical computers. But despite the nascent state of quantum computing, the report warns that it’s important to find practical applications for the noisy machines now available, in order to make advances happen faster. 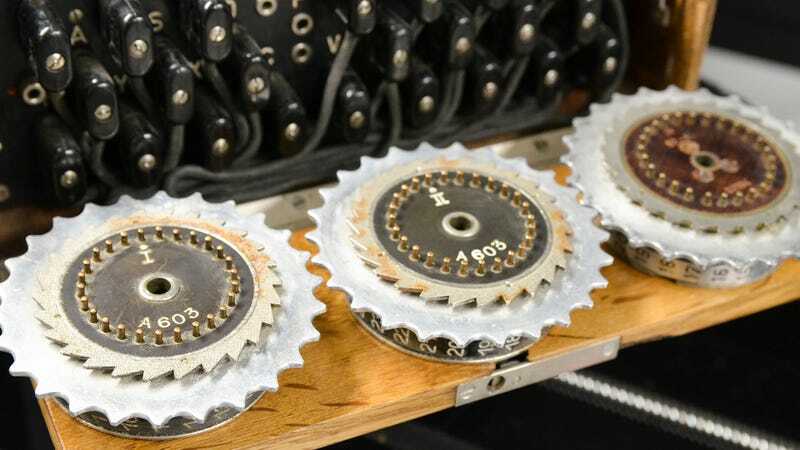 Meanwhile, they write that preparations for quantum-safe cryptographic methods should begin now, given the potential hazards of a code-cracking machine. “From cars to planes to power plants—if they will be operational 15 to 30 years from now, they already need to begin planning a migration towards [quantum-safe] cryptography,” Michael Osborne, manager of quantum safe cryptography at IBM Research who was not involved in the new report, told Gizmodo. The report warns about the state of funding into quantum research, especially in the U.S. Other countries, including China, have committed lots of money and people to developing quantum technologies. Here in the U.S., much of our quantum science is privately funded—but might not provide immediate commercial benefits. “If near-term quantum computers are not commercially successful, government funding may be essential to prevent a significant decline in quantum computing research and development,” the report authors write. And you should take reports like this seriously. “The National Academies of Science is highly regarded for its credible and objective reports, like this one, on topics of current scientific and technological interest,”Anne Matsuura, one of the report’s reviewers and director of quantum applications and architecture at Intel Labs, told Gizmodo. The U.S. government takes it seriously as well, it seems. There’s a bill that has passed the House and is still sitting in the Senate that would inject money into the quantum computing industry. But it’s clear that quantum computing isn’t going away. Continued investment and research could make error-corrected quantum computing a reality in the next decade—and it’s time for those vulnerable to quantum attacks to prepare.